To those who have 3D movies to watch list this year, you may want to scratch Harry Potter and the deathly Hallows Part 1 out of the list. This is because Warner Bros. just dropped the bomb that the movie will not be released on 3D cinemas this year. 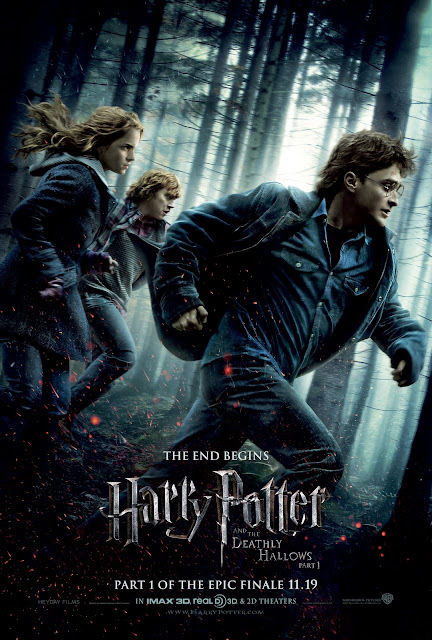 Warner Bros. Pictures has made the decision to release “Harry Potter and the Deathly Hallows – Part 1” in 2D, in both conventional and IMAX theaters, as we will not have a completed 3D version of the film within our release date window. Despite everyone’s best efforts, we were unable to convert the film in its entirety and meet the highest standards of quality. We do not want to disappoint fans who have long anticipated the conclusion of this extraordinary journey, and to that end, we are releasing our film day-and-date on November 19, 2010, as planned. We, in alignment with our filmmakers, believe this is the best course to take in order to ensure that our audiences enjoy the consummate “Harry Potter” experience. Personally I'm having mixed opinion regarding this issue. I would love to see Harry Potter's latest movie in 3D but on the other hand I'm not really a fan of 3D films because my eye coordination is poor and I always end up getting dizzy watching 3D movies. For others they may not care at all because most of them prefer watching movies on regular cinemas where they can pay less than Digital and IMAX theaters. Either way, It is better to see Deathly Hallows this November than to postpone the announced showing date just because they can't convert it on 3D. And we still have part 2 on 3D so no worries.